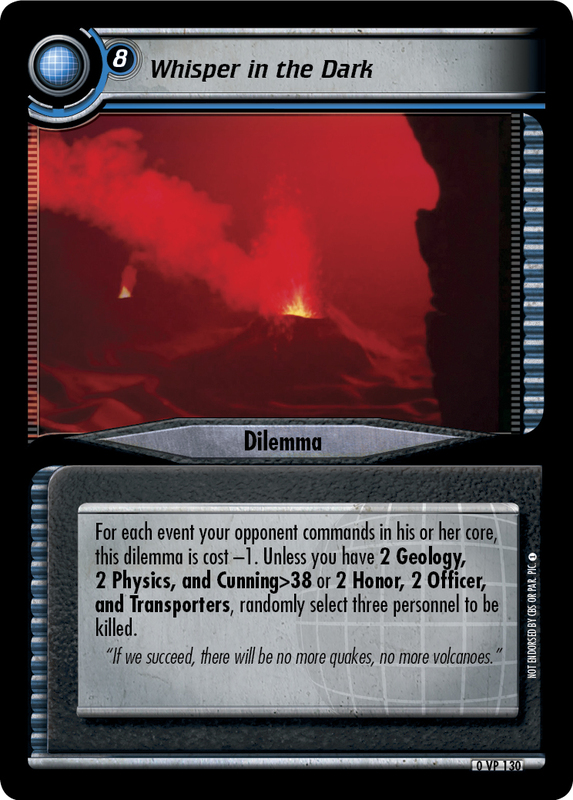 For each event your opponent commands in his or her core, this dilemma is cost -1. 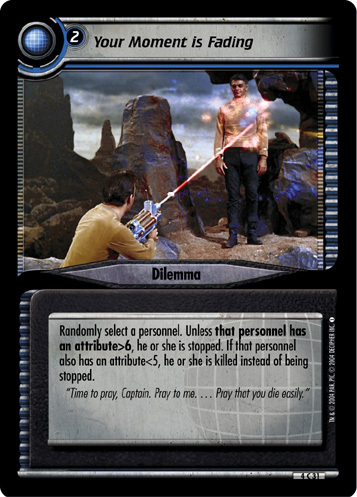 Unless you have 2 Geology, 2 Physics, and Cunning>38 or 2 Honor, 2 Officer, and Transporters, randomly select three personnel to be killed. 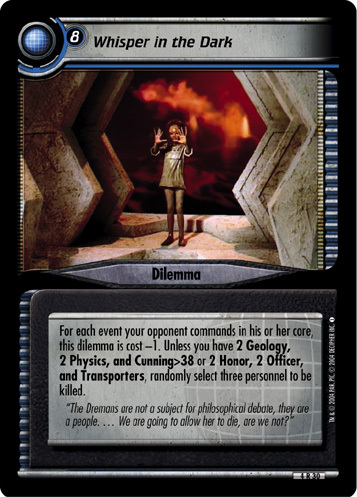 "The Dremans are not a subject for philosophical debate, they are a people. 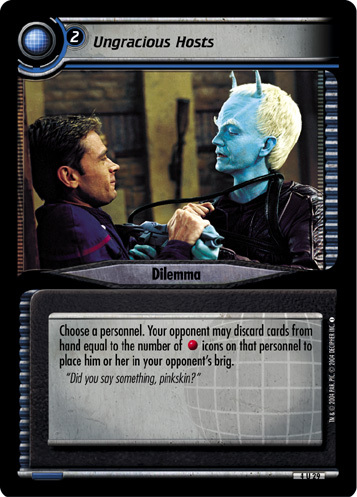 ... We are going to allow her to die, are we not?"